Money for elite sports: does it benefit public health? AUSTRALIAN Olympic Committee CEO Matt Carroll recently warned Australia’s medal tally at future Olympic Games was at risk unless the government pumped an extra $60 million a year into elite sports. Carroll welcomed the federal government’s recent announcement of an extra $50 million for high performance sport, but said it was not enough. In its report of Carroll’s speech, the Sydney Morning Herald said funding for high performance sport had declined by 12% in real terms since 2010. I had a French exchange student living with me during the Olympic Games a few years ago. When I told him Australia had one of the biggest teams at the Games, he looked at me blankly. It’s a good question. Our obsession with the Olympic medal tally seems to me at best tacky, and at worst harmful. It puts enormous pressure on individual athletes, who can end up feeling shamed by a performance that is fractions of a second outside a world record. But, perhaps more importantly, it skews our focus – and government funding – away from the kinds of sporting initiatives that might provide real benefits to us as a nation. In his speech, Carroll claimed that, without increased investment in elite sport, “the only gold medal won will be the race to the most obese nation and social mediocrity”. “This is not hysteria, this is fact,” he said. Can Olympic gold really deliver the implied fix for obesity and social mediocrity (whatever that is)? There really isn’t much research to support the first claim and the second seems well beyond the bounds of anything you might call “fact”. It’s often said the achievements of elite athletes inspire the rest of us, and especially children, to try to emulate them. If that’s true, you might be able to argue for a flow-on effect in reducing obesity. But one of the many problems with our focus on medal tallies is it can end up directing funding away from the sports people are most likely to engage in towards less widespread activities that just happen to be included in the Olympics. I have nothing against shooting, weightlifting or the various equestrian events, but I do struggle to see them as weapons in the war against obesity. Even for more mainstream sports, the Crawford Review on reform of the Australian sports system could find no evidence high profile sporting events such as the Olympics, Wimbledon or the Australian Football League Grand Final had a “material influence” on sports participation. “If we are truly interested in a preventative health agenda through sport, then much of [the funding] may be better spent on lifetime participants [rather] than almost all on a small group of elite athletes who will perform at that level for just a few years,” the report said. Perhaps the evidence for the public health benefit of elite sport has strengthened since that report came out in 2009 – though, if so, I haven’t been able to find it. It would be interesting to see a comparative study of the health benefits of various kinds of public funding: elite sports, community sports, the arts, scientific research, etc. It’s not a zero-sum game of course, but I doubt elite sports would come out all that well in such an exercise. The Australian Institute of Sport spent around $332 million on Olympic sports ahead of the 2016 Rio games, the ABC reported. Dividing that amount by the total number of medals of all colours (29) gave a cost per medal of just below $11.5 million, the report said. You could argue about whether that’s a fair way to assess the impact of the funding, but one thing’s for sure: $332 million would buy you a lot of cycle paths and junior soccer clubs. 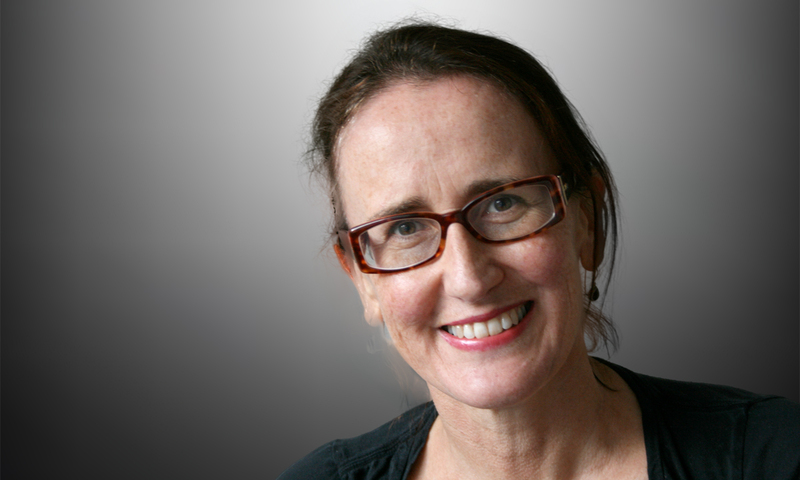 Jane McCredie is a health and science writer and editor based in Sydney. Just leaving a comment regarding Jane’s McCredie’s article on sports funding. I am Head of Public Affairs for the Australian Olympic Committee – so I should point out that Matt Carroll didn’t actually call for an extra $60 million annually for elite sport. He was at pains to point out that extra funding for needed for both participation and elite sport – and the health benefits that flow from greater participation in all sports. He cited the Government’s Intergenerational Review of Australian Sport 2016. His speech was about a new direction for the AOC in promoting participation, not simply concerning itself with elite competition. So, to that extent, Jane ignores the thrust of Matt’s address. Certainly he did allude to the nexus between elite success and participation, but his argument far from rested on that proposition. His speech is on the AOC website. I agree that the contention that money spent on elite sport always trickles down to improve public health, is rather broad, sweeping and reasonably subject to challenge. However, I have a big problem with the survey linked, which commits the logical fallacy of presenting a false dichotomy. It presents the scenario of de-funding ALL elite sport and asks the respondent to declare that such funds would be a benefit to public health. On what evidence? Which bits of public health? How much public money is in elite sport in total? Where is the cost benefit evidence that that particular amount, distributed uniformly across the country, will generate better health outcomes? By extension, shall we also de-fund the arts for the same reason? There seems an assumption that individuals can reasonably deny support from things that don’t interest them, no matter who is affected. The article Dr McCredie writes does not advocate whole scale de-funding. Additionally, the definition of health is a broad one: the mental and physical health of social inclusion through sporting and other cultural activities are used to justify public spending on a wide variety of pursuits. The cultural linkages with other countries, even through Australians watching the Olympics on telly, could also be compromised if elite Olympic sport (or the arts, etc) is de-funded, with likely implications to community health downstream. We do not get to simply declare that the things that do not interest us in particular, should be de-funded and the money directed to things that do interest us. Similarly, I take (rare) issue with Dr McCredie’s citation of the Crawford Review. This is of questionable relevance to the argument being advance since the quoted statement deals specifically with three very high profile professional contests and the line is “no evidence that Olympics, Wimbledon, AFL grand final have a material influence on sports participation”. This is presented as an implied proof-of-negative, which it certainly is not: a lack of a “bounce” in enrolments in the immediate aftermath of these specific and recurring events is not proof that a teenager’s dreams of competing at the top international level are not affected by witnessing these events and having them featuring in the public consciousness. It is really not possible to prove such a negative without cancelling all three contests and seeing what happens in the medium and longer term. Increasingly our society has become accustomed to sitting on the couch to watch sport rather than participate. This is, of course, benefitting the self interested, including media organisations and sporting bureaucrats. Working in health the research is clear that there is enormous benefits of physical activity across the life span in terms of physical, functional and cognitive health including reducing the impact of disease and functional decline so as to maintain independence and social engagement in our older years. It should not be seen as ‘us and them’, however, given the lack of focus and financial support from the Commonwealth on broad population health measures to address the impact of chronic disease and ageing it inevitably comes down to this. If an overweight 50 year old is inspired to get active because of a medal being won at a sporting event then that would be great, just haven’t seen it. If anything, given that the sporting funding model tends to be about international success then it is more likely to be seen as an activity for the young, fanatical and physically blessed. Perhaps the $60 million would be better spent in community games for all ages. To be honest, the recent Invictus Games was more inspiring than the Olympics.